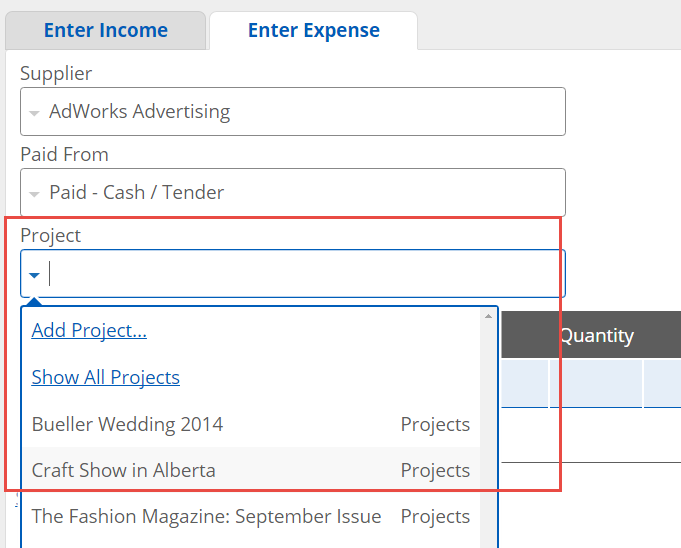 Learn how to set up projects and track associated income and expenses. 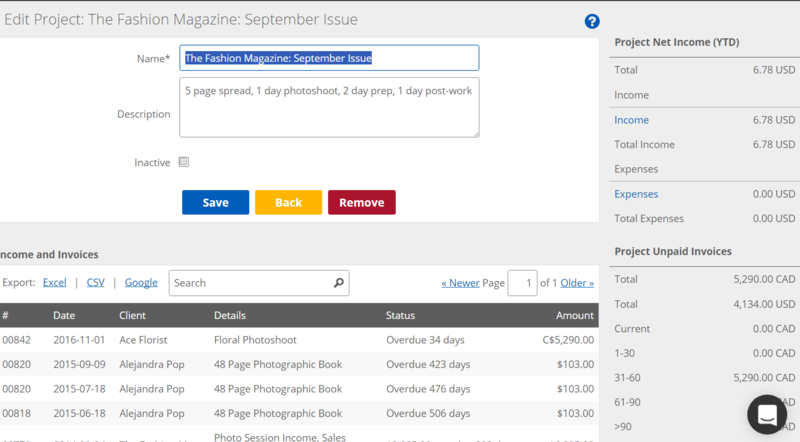 Project Tracking is great for businesses that want to see the profitability of client projects. To use Projects, you need to turn the feature on. 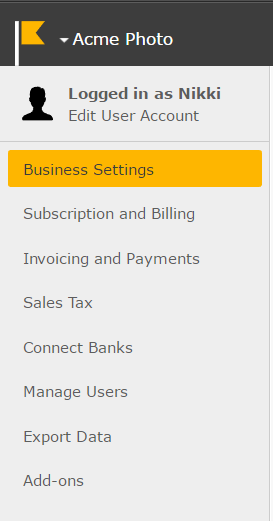 To do so, click on Settings in the top right-hand corner of the page. 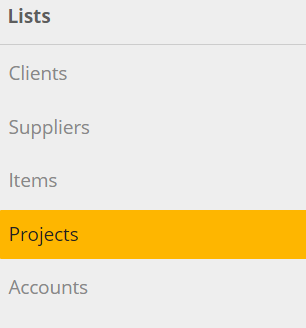 Find the Project Tracking item and click the checkbox. To set up a project, you need to leave the settings area. To do this, click on Workspace in the top right-hand corner of the page. From the Add Project area, you simply need to add a Name. Optionally, add a Description. Selecting the Inactive checkbox will cause the project to be hidden from the project list when creating new income and expense transactions, as well as on the Profit and Loss report. Once you have a project set up, it's easy to track income and expenses associated with it. We'll show you an example of entering both using the Income and Expenses page. 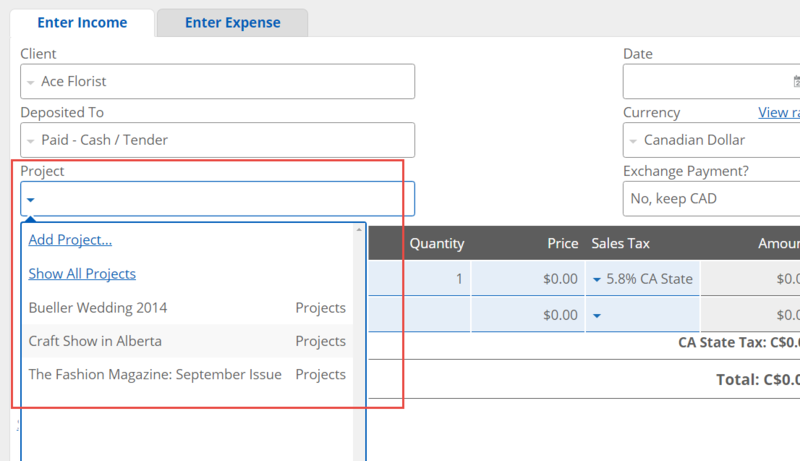 While entering income or invoices, you can use the Project field to choose an existing project or create a new one. Likewise, while entering expenses or bills, you can choose a project to associate it with. 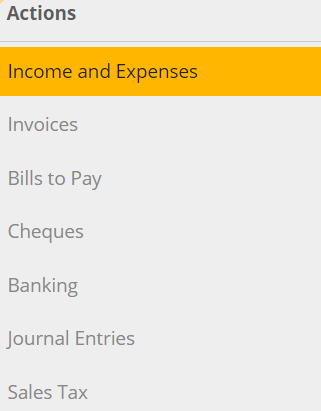 To get a summary of the income and expenses associated with a particular project, go to the Income Statement report page. 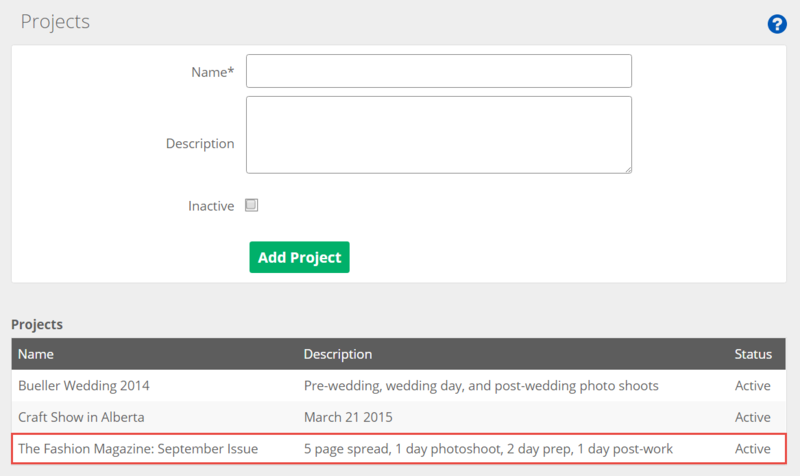 From there, use the Filter by Project field to select the project you wish to report on. You will see a summary of the income and expenses associated with the project. More detailed reporting on a project can be found on the Projects page. In the Projects page, select a project. This will reveal the details of the individual project. If you need to edit the project details, you can do it here. 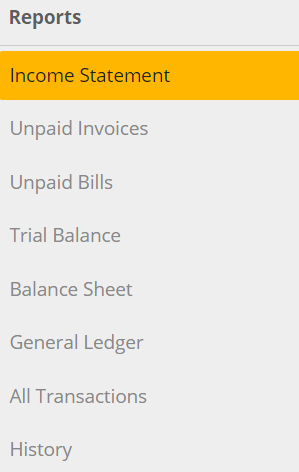 You can see a breakdown of all the individual invoices and expenses associated with the project, as well as click on them to pull up additional details. Both invoices and expenses can be exported to an Excel or CSV format. 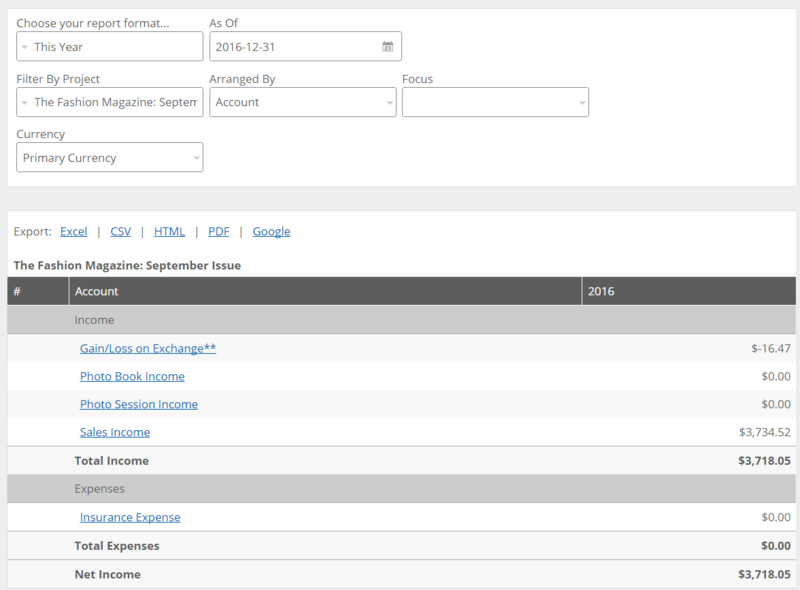 On the right hand side you'll see quick view reports which will show things like the project's net income, receivables, and payables.